By now, the readers of this column should be well familiarized with Charter Communications Inc.’s work to offer all video channels in Long Beach, Calif., on a digital basis. Externally, they call it “all-digital” for obvious competitive and marketing reasons. Internally, they call it “digital simulcast.” That’s not as dorky a term as it may seem. Remember that most technologies, however clunky they sound, tend to get named for what they do. To “digital simulcast” is to simultaneously broadcast all analog video channels in analog, and in digital. Here’s your free tip for the Thanksgiving week: Digital simulcast isn’t just a Charter thing any more. In fact, it’s looking like it will rank tall on most cable providers’ 2005 technology to-do list. Charter will do more; Comcast Corp., Time Warner Cable, Cox Communications Inc., Adelphia Communications Corp. and others are gearing up. When the Charter Long Beach story first broke, the phone rang. It was Steve Effros, the seasoned industry observer and former head of the Cable Telecommunications Association (CATA). He was seeking an on-the-fly translation. I did my best. He sounded less than overwhelmed. The trouble with the early chapter of digital simulcast was this: The stated benefits didn’t seem like enough, competitively. The next step in the plan — recapturing the spectrum held by those analog channels — seemed hard, and far away. Since then, and coinciding with the increased interest by other MSOs, the digital simulcast story grew some zigs and zags — as technology stories often do. Blowing about in the holiday winds are three new reasons why digital simulcast is showing up on 2005 work plans. One: By making everything in analog available digitally, cable providers can more flexibly “mix and match” basic channels for sale to customers — like the top 50, 60 or 70 channels, in a pack. The first example usually given, around this logic, is Dish Network’s 60 channels for $29.99. Of course, one could drop basic-cable prices right now without having to do any digital simulcasting. So there must be something more. Over time, this relieves the pinching fact that half of today’s cable customers don’t subscribe to services that require a box. Those people are plenty happy without a set-top. Plug the wire into the back of the TV set, more channels appear — and they can still use the remote that came with the TV. Good enough. Three: Once all channels are available in a digital format, the needle on the “interesting possibilities” meter starts to skate progressively upward. If everything is digital, why not throw a switch into the mix? The mind reels. And, obviously, digital simulcast moves cable closer to that happy place called “all digital.” Digital simulcast provides all channels in digital. For the time being, however, digital simulcast doesn’t mean digital only. Picking off those analog channels, for whatever reason, tends to make consumers go nutty. Which brings us to bandwidth. 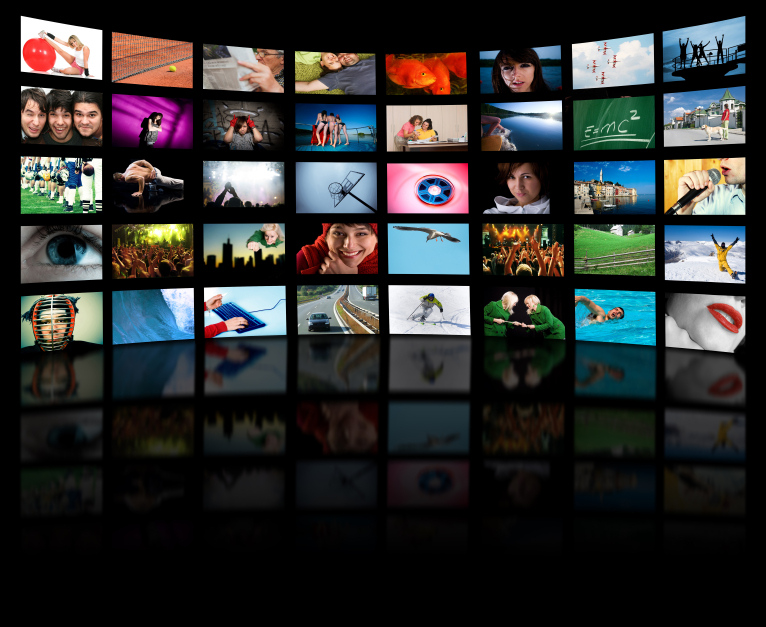 In the short term, digital simulcasting costs bandwidth. In Charter’s case, it cost them seven 6 MegaHertz channels to digitize their 96-channel analog/basic offering. At the least, adding a switch likely returns the channels used to do digital simulcast. Probably not much more — but it’s early, it depends on how you do the math and it’s beyond the scope of this column (thank the heavens). And there’s another wrinkle: The FCC’s desire for cable providers to stop installing digital boxes that contain built-in security, by July of 2006. If that desire doesn’t change — the general hope is for it to go away entirely — it means somewhat of a mad dash to get ready to switch over to set-tops that contain a CableCARD slot, just like digital TVs and HDTVs. Doing digital simulcast means each new basic customer gets a digital box. Or boxes. That’s what’s been driving the push toward “the $50 box,” because most homes have three or more TVs. Removing the analog tuner and related components in the box helps to trim costs. Comcast is saying $50, all-in; vendors are saying $75 to $100. The truth usually lurks in the middle. Less cost is good. But in order to move forward with digital simulcast plans, operators need to know whether they’re buying boxes with built-in security, like they’ve always done, or boxes with CableCARD slots, like they’ve never done. If it’s the latter, box costs start to dart back up. That’s a quick update of the new zigs and zags in the emerging story that is digital simulcast. How Does Wireless Fit Into Cable’s Plans? Want to see what an organized competitive assault from a phone company looks like, in action? What U.S. cable operators dread, Canadian operators are living. The opponent: Bell Canada, which offers video (satellite), voice (duh), broadband Internet, and a fourth ingredient: wireless. Wireless. The untethered wonder that could lift cable’s triple play to quadruple play. This column will attempt to translate where wireless fits into the services offered over cable wires today. Along the way, it will identify what work is happening where within the cable technology community. 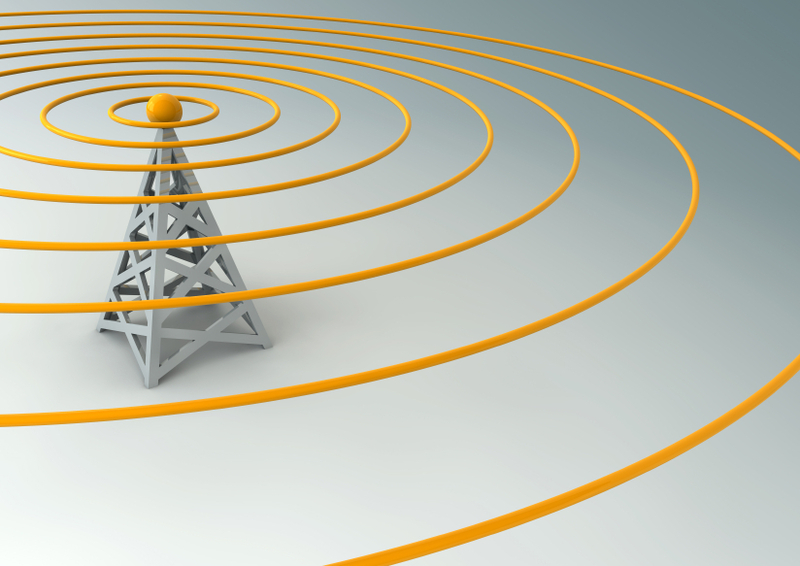 A duo of seemingly synonymous words travels closely with wireless: portability and mobility. We’ll start there. In an applied sense, “portable” means you can dump something into something else, take both with you, and use them later. Like MP-3 players. The consumer electronics community is already out with handheld gadgets, which plug into a PC or media center, accept fat video downloads, and get stuffed into the bag for later viewing. In general, portable gear isn’t always mobile, but mobile gear is almost always portable. To suppose how wireless fits into today’s cable-delivered service silos, imagine a system with upgraded plant, delivering a triple-play bundle: analog, digital video and its on-demand accoutrements; broadband Internet; and voice. Wireless broadband is probably the easiest to conjure. If you surf without wires in your house, or if you’ve ever used a Wi-Fi “hot spot,” you know this one. In the lingo, these in-home or commercial hot spots are known as “fixed wireless.” You get bits when you’re in range of the wireless bit spigot. Move out of range, no bits. In the imaginary system, then, with its eye on cross-silo wireless services, one approach is to offer wireless home networking. Many MSOs already do, catering to people who just don’t want to deal with set-up and maintenance. Then there’s voice. Cellular phone service is ubiquitous outside the home. More people use cordless phones than corded phones inside the home. For the hypothetical operator getting into voice-over-IP and wondering about how to blend wireless into that scene — what’s the play? One idea floating around is to rig a VoIP device with a wireless (Wi-Fi) antenna. Specifically, the item for rigging is the MTA (multimedia terminal adaptor), the thing that links phones to cable’s voice infrastructure. So outfitted, the MTA would be able to do whole-home broadband and voice, with or without wires. But the phone still wouldn’t work outside the house — unless arrangements are struck with wireless carriers to essentially “haul their load” when a customer is inside the house. You’re late. You gather your stuff and head to your car. Inside, you’ve been talking over a wireless link to your cable provider’s VoIP infrastructure. Somewhere between the garage and the end of the driveway, you shift over to the cellular network. To you, and the person on the other end, it’s a seamless handoff. Quality-wise, when you hop from the cellular grid onto the wireless IP network in the house, your conversation sounds as good as it sounds on your wired phone, proponents say. The person you’re talking to sounds like the person you’re talking to, not like the teacher in the old Peanuts cartoons. In tech circles, by the way, this whole notion goes by “roam to home.” Most of the work is happening within the PacketCable Multimedia umbrella, at Cable Television Laboratories Inc. Service definitions are currently being hammered out. That means it’s fairly early stage, deployment-wise. Video is the hardest of the services to go portable or mobile, for an assortment of reasons. On the portability front, there’s the issue of copyright protection, which leads right to the door of digital rights management. One cable scenario is to wall off a sort of “trusted place,” deemed safe by copyright holders. That involves the connectors and electronic “wrappers” on set-top boxes. It’s all about authenticating the portable device and securing the content as it moves over the connector. Multiroom digital video recorders, which rely on wires today, are easy enough to imagine without the wires. That’s probably step one. Plugging CE devices into that trusted place for downloads is a plausible step two. Ditto for the wireless angle. The hard part about blending wireless into cable’s service silos is the anticipating and the configuring. On the device side, the matrix of possibilities suddenly swells to include portable, mobile, wired, and wireless devices that may show up in somebody’s home, thirsty for content. On the services side, the scenario mix includes those possible devices, as well as the range of data, video and voice services that may want connectivity. Of course, there’s always the option of doing nothing without wires, but it gets riskier every day. Just ask Canada.